﻿If you follow the tech news, you will see nothing but negative news about Apple these days. Stock is currently trading around $90, every product is being called a failure, not innovative enough, or boring. Every eductional article lauds the Chromebook and its success in education. You might as well tell Apple to close their doors and go home. While the stock price is not a good thing for investors, the company itself is plugging along. Apple introduced a smaller iPhone (remember when EVERY tech journalist demanded larger phones?) which is still backordered, introduced the small (9.7″) iPad Pro, and refreshed many of their notebook computers, including the controversial 12″ MacBook which in the minds of many tech journalists, has both gone too far (One USB-C Port? Burn down the Apple stores) and not far enough. And it is a very quiet cycle in new products and apps. Most companies scale up to CES (January) or Winter NAMM (also January), and we are really in the “calm of the storm” before Apples WWDC, where developers will learn what iOS 10 (if that is what it will be named) will bring and start programming for the eventual device releases in the fall. I am waiting to move to the (12″) iPad Pro until the fall. I saw one again last night at Best Buy and continue to be amazed by the sheer size of the device. In this relatively quiet time of the year, it has been fun to see some apps that were previously web-based (I.e. Chromebook friendly) make it to iOS. One of those apps was SoundTrap. 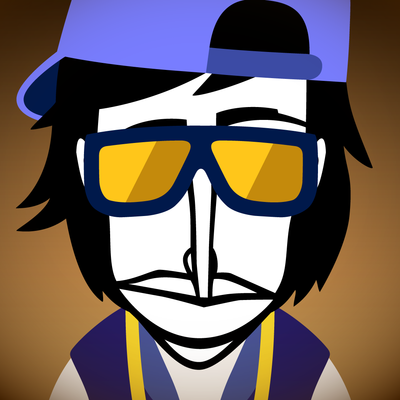 Another is a recent release of a popular music web app called Incredibox. Incredibox was a Flash-based app, so it wouldn’t work on iOS. The iOS app was released at the end of March, and already has had four major updates. It is available for $2.99, and can be bought with educational pricing for $1.49 in groups of 20 or more. I love seeing a previously web-only app make its way to iOS, just as I love seeing iOS apps move to Android and Chromebooks (There is some speculation that Chromebooks will soon run Android apps. We will need to watch that development). 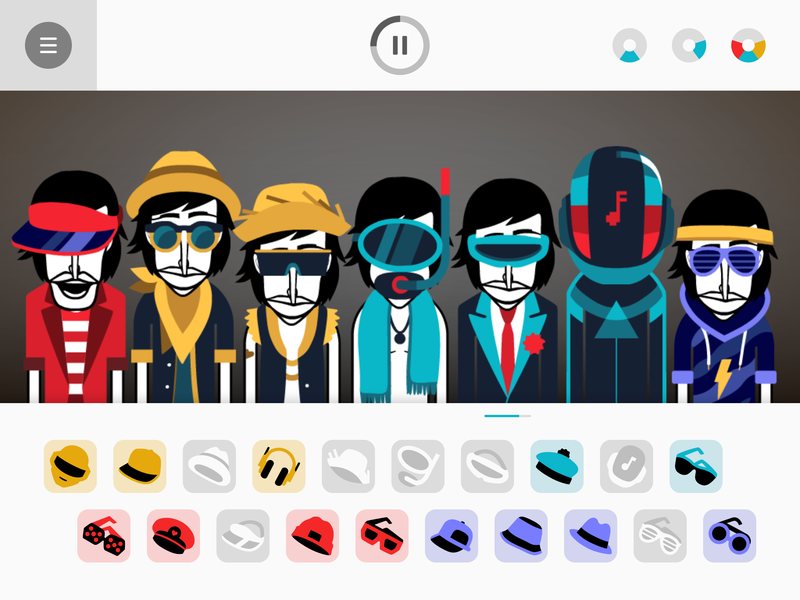 Incredibox is basically a looping app, where a group of guys are on a screen, and they make different looped sounds based upon the articles of clothing that you drag on the figure. On the iOS app, if you don’t like the sound, just drag the clothes off the character. As a choral and band educator at the secondary level, I struggle trying to integrate looping apps of any kind (including GarageBand) into traditional performance classes. But I do know a lot of educators that like to teach with such apps (e.g. Disco Fingers, GarageBand)–and I know a lot of musicians who love to practice and perform with loops. What I can tell you is that Incredibox is incredibly fun to play with, and the iOS app works perfectly. If you would like more ideas about how Incredibox can be used in your classroom, I would simply forward you to posts on the subject by Katie Wardrobe (link) and Amy Burns (link). Just remember that you can now purchase Incredibox for iOS, too. One of the joys of blogging has been getting to know people with similar interests across the country. In truth, the number of people who consistently blog about technology and music, or technology and music education, can be counted on two hands, and I have had the pleasure of interacting with all of them and meeting a good number of them. One of the bloggers I really enjoyed interacting with was ViolaJack, a blogger from California who is a string player/teacher. She has used iPad in her playing and teaching, but has always been open to Microsoft tablets as well–and she eventually interned with PC Magazine. She dropped off the blogging world for a few years (she writes about that here), and has recently started posting again. I have missed her blogging voice, because we share some things in common (a love of music, a love of teaching music, and a desire to integrate technology in music) but we approach technology with different solutions. It is important to listen to other opinions that do not always match your own! Plus, she is a great writer (you wouldn’t intern at a technology magazine if you were not good at the craft). Anyway–her latest blog post is about her use of the Surface Pro 3 for music versus the iPad (3rd Generation). It is a great read…and I am looking forward to seeing a future post from her about using Xodo Docs as a sheet music reader (she used to favor One Note). If you have an iPad 1, you are operating with a dinosaur. The iPad 1 changed computing as we know it (and arguably led to large Phones), but the iPad 2 was an evolutionary jump over the iPad 1. The iPad 1 stopped receiving updates for iOS some time ago; and most developers do not write apps that can run on the iPad 1. It is too bad that Apple doesn’t offer a “legacy” store for these older devices–which still work. Sadly, that option does not exist. When a developer abandons the device, the old apps can no longer be purchased. There has been one PDF music reader on the market–unrealBook–that has remained compatible with the iPad 1. Most developers gave up on that device long ago–and that means every other PDF music reader. Yesterday the developer, Aron Nelson, announced that he had reached the point that iOS 9 is now so complicated that it is nearly impossible to keep developing for the iPad 1 at the same time. In other words, this last version of unrealBook will be the last update that works on an iPad 1. If you know anyone with an iPad 1 that wants to use it as a PDF music reader, they need to buy this app now, or they will not be able to do so in the future. 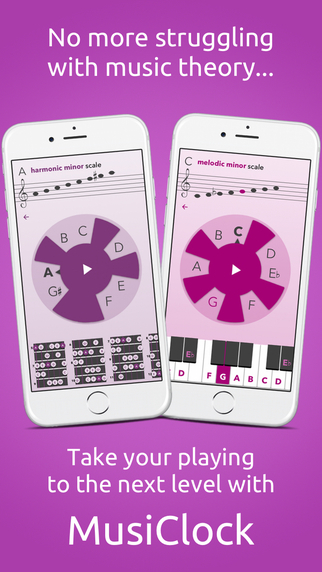 I was recently contacted by the developers of Musiclock, an app that was written to help people (students and adult musicians) develop skills with improvisation. Improvisation was an element of the old National Standards of Music (one of the standards that was often left unmet). The new standards, which have been divided into various disciplines in music education (instead of having one set for all teachers), still include improvisation. While improvisation was historically at the center of all music (including the daily lives of Mozart and Beethoven), improvisation has (generally) become a part of the culture and experience of jazz music. Chances are that if you are not a jazz musician, you may not spend very much time with improvisation at all. So how can we change this? It turns out, there is a (new) app for that. Musiclock provides many background “jam” tracks (loops) that are written in a specific scale (e.g. Major, or Pentatonic Major). Those loops can be started on any note of the chromatic scale. As you choose a scale, you will see a piano keyboard (playable) that indicates the notes that are available for that scale. The scale itself shows itself on a staff at the top of the screen. You can also see guitar fretboards if the piano is not your instrument. While the piano can be played, the fretboards cannot. You can also touch the letter names of the “clock” if the piano is not an instrument that you play. When using the app, one thing you can’t get away from is the importance of scales in improvisation. This is why guitar players who do not understand how to read a single note of music will know fifty different scales. This app is a great way to show kids the importance of learning their scales on piano or in band/orchestra. Once you have selected a scale and an accompaniment/loop, you “hit” play on the clock, and you begin to “jam.” With the on-screen piano, if you limit yourself to the notes that are shown, you are guaranteed that your improvisation has the chance of sounding good–and as this is improvisation, there is no right or wrong. You can, of course, put headphones on, and practice on your instrument (or sing) using the app’s jam tracks. I still remember sitting in junior high jazz band, and our director having the entire band play a blues progression. Every member was then expected to improvise a small melody on the spot. I remember how terrifying that was (as a tuba player and a pianist in jazz band), because I didn’t want to sound bad, and I didn’t understand scales as I do today. Here is a chance for you to invest in an app that can take that scary process away for your players. There are some things I would like to see in the app, and I have shared these thoughts with the company. The app currently only functions in portrait mode, which is disappointing because the onscreen piano keyboard could encompass more octave or have larger keys in landscape mode. If you play a transposing instrument, it would be great if the app could show transposed keys while playing in the non-transposed key (it currently only shows the actual, non-transposed key). It would also be great to see the app include CoreMIDI functionality so you could connect a MIDI keyboard or JamStik. I would also like to see the ability to change tempos of each jam track. The only thing I don’t like about the app is one of the screen shots provided on the app store, where the company says, “No more struggling with music theory…take your playing to the next level with Musiclock.” As a music teacher, I want people to struggle with music theory and music notation, regardless of what the Huffington Post says. This is NOT my favorite thing to see in screen shots of a music app in the app store! The app does a great job of letting you (or your students) improvise right now, regardless of your training in music. Still, as a music teacher, I want students to go deeper into theory and to avoid painting theory in a negative light. At the moment, Musiclock is $3.79 on the app store. If you want to teach improvisation to students of any age, this is a wonderful app, and I hope more features are on the way. This app could be incorporated into a band lesson, or for an entire class. It could be used by individual musicians (with headphones) and they played their own instrument (or sang). PhotoScore 8 and AudioScore 8 are out! Think for a moment about the programs on your computer for a moment. Which programs are on your computer that are truly irreplaceable? My answer to this question has changed over the past two years as the apps on my iPad have gained more functionality, and as the number of quality solutions for some types programs have multiplied. Microsoft Word may have been an indespensible program in the past, but services such as Google and programs such as Pages (free with a Mac and also free via iCloud.com) and Open Office has changed our reliance on these programs. I mainly use my Mac for four tasks these days. Those tasks are: editing music in music notation programs, scanning music, creating concert programs, and dealing with video. In these four categories, I have several programs that I use consistently. For video, I use iMovie and Handbrake. For scanning music, I use my Canon P-215’s own software. For creating concert programs, I use Pages. 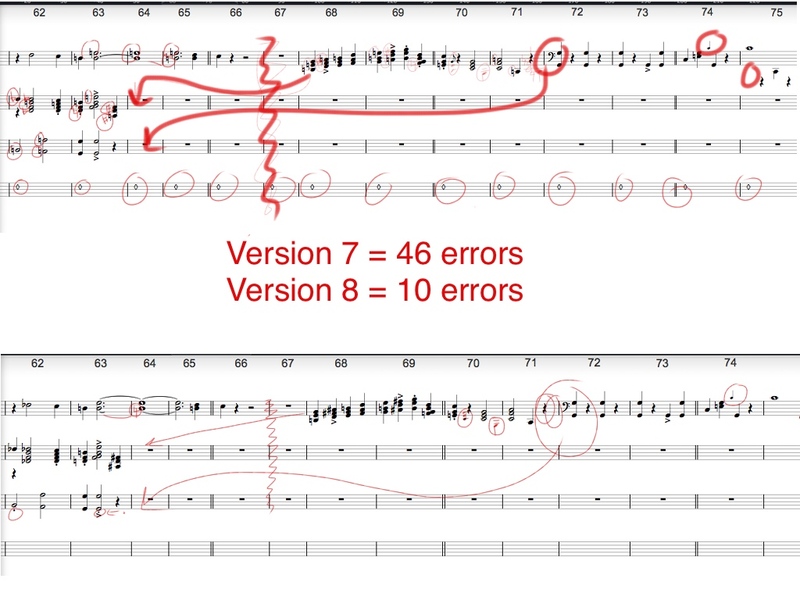 When it comes to music notation, I am likely to use Notion or MuseScore (and will perhaps jump back on the Finale bandwagon with the next release). But when it comes to taking a PDF and scanning it with music recognition software, I have ONLY one program of choice: PhotoScore Ultimate. Neuratron just released PhotoScore 8 and AudioScore 8, and I have been working with these programs today. AudioScore takes audio and converts it to digital notation (transcription), which is a feature I seldom need. I can definitely see how arrangers and composers could benefit from a transcription program. Most of my work requires me to import existing printed music into digital notation, and thus PhotoScore has been a lifesaver for me. I have tried all of the music recognition apps, and PhotoScore (even in Version 7 which was originally released in 2011) has been far superior to any other solution. The one exception would be PDFtoMusic Pro, which takes a PDF generated by a music notation program and converts it to MusicXML. This is a highly accurate process, but chances are you are trying to recognize a scan you (or someone else) has personally scanned on a scanner or photocopier versus recognizing a printed file from a composer. If you use Finale, Notion, or MuseScore, PhotoScore is for you, too. Yes, PhotoScore is the “bundled” software that comes with Sibelius (albeit a lite version), but you can save any PhotoScore document to a MusicXML file and then edit it with any music notation program that opens a MusicXML file (even Notion or Symphony Pro on iOS). Neuratron turned the recognition world on its head last summer as it introduced the ability of its Android & iOS app to take pictures of printed music and to use the PhotoScore in-purchase app to convert the music to digital notation. For $70 ($40 app, $30 add-on), we are now able to scan music “on the fly” without the need for any additional hardware. I have been a pest in the past months, regularly asking employees at Neuratron when we would see the next version of their desktop programs. Sibelius and the Sibelius Blog leaked news of the coming update earlier this year, but there was no specific ETA for the updates. And if you bought the program on April 11th or more recently, you get the upgrades for free. In my honest opinion, the $249 I spent on PhotoScore Ultimate 7 (same price as version 8) was the best $249 I have ever spent on music technology for my Mac. It has saved me over a thousand hours of note entry in the time that I have owned it. While there will ALWAYS be scanning errors, PhotoScore Ultimate runs circles around its competition–and even lyrics are recognized. And if something doesn’t scan well, it is usually indicative of the quality of the printed music itself rather than a problem with the program. PhotoScore 8 has a lot of improvements “under the hood,” but the biggest change is that NotateMe (the main app for Android/iOS) is included in the program (which, incidentally is just over 80MB on my Mac). There has been another handwriting recognition app in the news lately that only runs on the Microsoft Surface–and that program has received an overwhelming amount of promotion directly from Microsoft. With this update, Neuratron also adds the ability to handwrite notation via NotateMe to the Windows platform. I am currently working on making rehearsal tracks for a fall musical production, importing songs from a PDF of the musical. As I was about the begin the next song, I used the same PDF in both PhotoScore Ultimate 7 and PhotoScore Ultimate 8 to create a MusicXML of the song. As should be expected, PhotoScore Ultimate 8 was significantly more accurate than PhotoScore 7, but cleanup was needed in both scores. The editing screen hasn’t changed much, and I find that I personally edit faster in a traditional music notation program than using PhotoScore’s own tools (or NotateMe, so I simply export PhotoScore’s initial scan as a MusicXML file and open that file in another app. In the following comparisons, I imported MusicXML files into Notion and then removed everything but the notes and articulations (I have been placing all lyrics into any document I have worked with over the past three years, and Notion’s main weakness is lyrics. It is easier to delete all text and lyrics and re-enter versus trying to edit what imports via a MusicXML. I am hoping this changes in a future version of Notion). You will notice that PhotoScore 8 does a much better job with the same PDF, making 60% to 75% fewer errors. 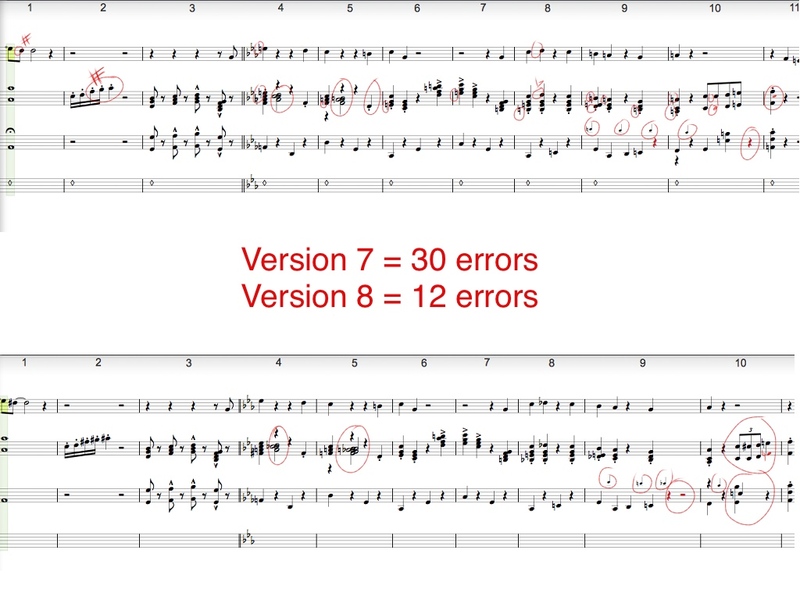 As you can see in example 2, if the original score has bar lines that are hard to see, PhotoScore will have a hard time seeing those measures are pat of the same staff unit, and will put all of the voices as if they were one continuous single staff. Unfortunately, I do not have the original score on hand to take a picture of the score with my iPhone with NotateMe/PhotoScore IAP and then to do a comparison of those two solutions. I will have to write an article about that at a later time. Here is the big question: do you need PhotoScore Ultimate 8? If you are a musician who wants to convert PDFS of music to digital music, yes, you do. NotateMe/PhotoScore on Android/iOS does not yet allow for the import of PDF files. And of course, you can use a scanner with PhotoScore (this is how it was originally used), but the Android/iOS app may be a better solution for scanning smaller works. If you are scanning a lot of pages, you will want to invest in a auto-feed duplex scanner like the Canon P-215II, scan your music as a PDF, and then import it via PhotoScore Ultimate 8. If you already use PhotoScore Ultimate, the $99 upgrade will pay for itself in a few hours of work (you will be saving yourself at least 50% of your current corrections). Is the addition of NotateMe to PhotoScore a good thing? Absolutely. But without a Surface Pro, my main tool for NotateMe will be my iPad, and I still prefer to edit my PhotoScore scans in other software. 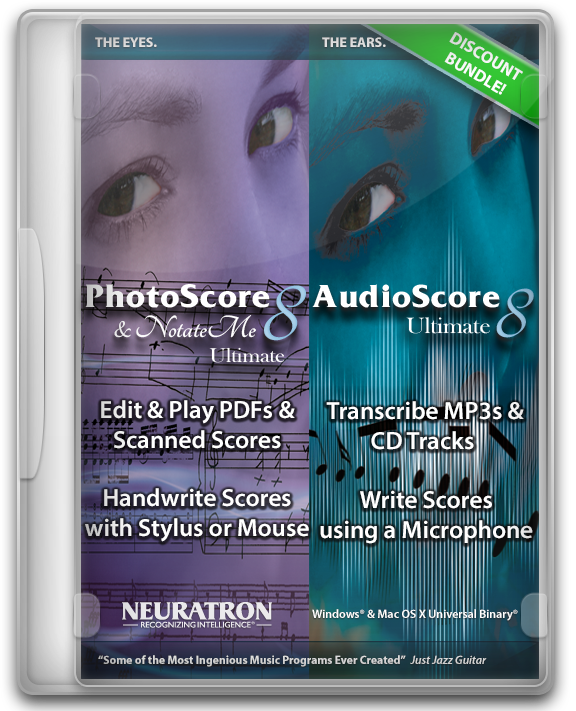 If you would like to see all of the information about PhotoScore Ultimate and NotateMe 8, see: http://www.neuratron.com/v8.htm. And as a reminder, AudioScore Ultimate was updated to Version 8 as well. Again, my workflow does not need transcription software very often. However, if you do use transcription–and particularly if you own PhotoScore Ultimate already, you can add AudioScore for a limited time for just $50 (this is normally $249). You can learn all about the AudioScore changes at http://www.neuratron.com/v8_as.htm. You can download a free demo of either program at the websites listed above. Thank you, Neuratron, for once again making my life easier with your programs. Believe it or not, I was one of two people without a seat on the plane from Minneapolis to Salt Lake Cith this morning. Someone didn’t show up, so I was able to make it here to Salt Lake City–I am currently on the light rail headed to the city center. Cities that have light rail from the airport to the city center are awesome–that is the only negative aspect of San Antonio (you have a take a cab or van to the city center). At any rate…if you are in town for the convention, I will be presenting at 4pm…and my materials are available in the previous post or in the “past presentations” of the blog.